”This order is an important milestone and proves that Alelion also plays a central role when it comes to the electrification of heavy vehicles”, says Daniel Troedsson, CEO of Alelion. The heavy vehicle segment is an important part of the future for lithium-ion batteries. ”More and more vehicle manufacturers are investigating the possibilities to convert to sustainable, all electric powertrains due to environmental- and climate issues”, says Daniel Troedsson, CEO of Alelion. ”Our long experience with lithium ion-technology in the forklift industry puts us in a good position to design the power supplies of tomorrow and contribute to the electrification of the heavy vehicle industry." KAMAG's planned electrified truck is a multi-purpose vehicle to be used with semitrailers and for transporting goods in ports, warehouses, mail- and package handling sites – as well as on production sites and at airports. The driverless version of the KAMAG E-Wiesel AGV (Automated Guided Vehicles) truck is adapted for automated logistic centres. The order is an important step for Alelion as it is currently building Sweden’s first large scale lithium-ion battery factory with a capacity of 500 MWh yearly, with its own embedded development resources. The factory will be situated in the midst of the automotive cluster at Hisingen, Gothenburg and is expected to be completed during the third quarter of 2018. Alelion Energy Systems AB – enabling the sustainable use of energy through our lithium ion energy storage and intelligent control system solutions. 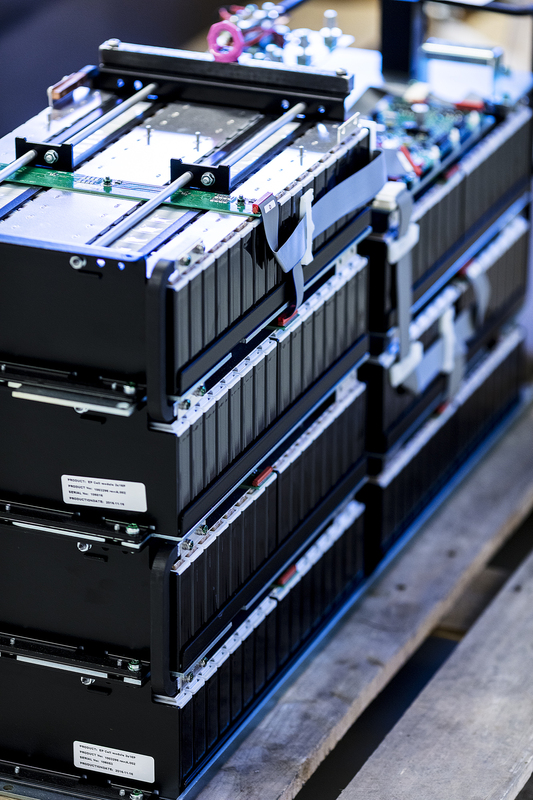 Alelion started developing lithium-ion batteries already in 2006 and over the last decade, Alelion has taken charge of the entire battery management value chain to enable customers to focus on profitability and efficiency, always in the greenest way. Today some of the world’s largest forklift manufacturers are among the Alelion's customers. Together with the SCHEUERLE Fahrzeugfabrik, NICOLAS Industrie and TIIGER, KAMAG Transporttechnik forms the TII Group - Transporter Industry International. The TII Group is the world’s market leader in the development and production of heavy-duty vehicles equipped with hydraulically-supported pendulum axles.